You are here: Home / Happy St. John’s Day – 2014! Happy June 24th, St. John’s Day! The day is named after John the Baptist, in celebration of his birth date. The feast day of his birth (June 24) became celebrated more solemnly than the day of his death, which is often the case. His martyrdom was by beheading on August 29. This is unusual but then “strange” and June 24th go hand and hand. Let me share some fun facts about June 24th. But first, most of all, respect the wonder and adventure of the 24th of June. And be aware of the link between June 24th and ufologists’ deaths. Throughout Europe, and via the United Kingdom, St. John’s Day’s symbolism spread to the USA. In the UK, and especially, Scotland, bonfires are a key. Should we be surprised to find it so in North America? St. John’s Day (”Jaanipäev”) is a major traditional holiday in Estonia, celebrated by singing around bonfires, in Estonian communities in the United States and Canada as well as in Estonia itself. The glow-worm, because it usually starts appearing around St. John’s Day, is called “Jaaniuss”–”St. John’s Worm” – in Estonian. 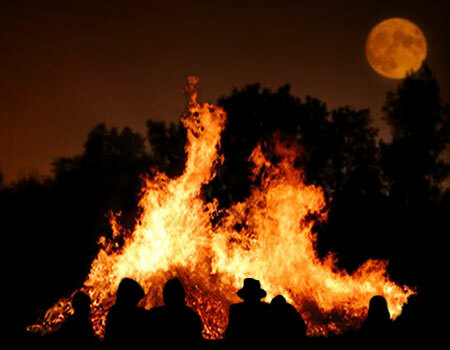 In France, the “Fête de la Saint-Jean” (feast of St John), traditionally celebrated with bonfires (le feu de la Saint-Jean) that are reminiscent of Midsummer’s pagan rituals, is a catholic festivity in celebration of Saint John the Baptist. It takes place on June 24, on Midsummer day (St. John’s day). In certain French towns, a tall bonfire is built by the inhabitants in order to be lit on St. John’s Day. In medieval times, this festival was celebrated with cat-burning rituals. Of course, there will be no cat burnings during most American or other worldwide celebrations. But a bonfire might be in order. Fire in the sky is a major underlying theme of this day. Does the name Kenneth Arnold (pictured below) ring a bell? Most people born in 1947, like me, know or realize that we entered life at the same time the Era of Flying Saucers also did, thanks to the specific events of June 24, 1947. Two Inuits kill a huge, yellow-furred bear at Rendezvous Lake, Barren Ground, Canada, June 24, 1864. The bear was similar to Arctodus simus, which died out in the Pleistocene. Naturalist Robert MacFarlane acquired the bear’s skin and skull, and shipped the remains to the Smithsonian Institution, where they were placed in storage and soon forgotten. 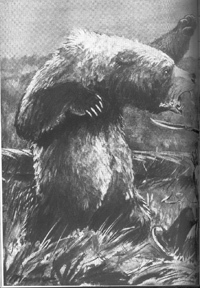 Eventually, Dr. Clinton Hart Merriam uncovered the remains, and in 1918, he described the specimen as a new species and genus, calling it the “patriarchal bear,” with the scientific name Vetularctos inopinatus. Today, it is often recognized as a new species, Ursus inopinatus. Jeff Beck is born (1944). This date will forever be tied to the first day of “flying saucer” history, due to the now-famous Mt. Rainier and Mt. Adams, Washington State sighting by Kenneth Arnold of disc-shaped objects in the sky (1947). Woman is attacked and killed by bees or wasps, Seattle (1947). On the 60th anniversary, in 2007, the infamous Angora Fire starts near South Lake Tahoe, California destroying over 200 structures in its first 48 hours. What events have dotted your past histories from this point on the calendar? Strangely, the deaths of various phenomena researchers, writers, and fans have occurred on this date, as well. These include Frank Scully, June 24, 1964; Frank Edwards, near the coming midnight of the 24th, still on June 23, 1967; Arthur Bryant, June 24, 1967; Richard Church June 24, 1967; Willy Ley, June 24, 1969; Jackie Gleason (who was an every advocate of the flying saucers), June 24, 1987. In 2006, coincidentally, the grand opening of the Bates College Museum of Art’s “Cryptozoology: Out of Time Place Scale” exhibition occurred on June 24th. Also on June 24, 2006, this date saw the death of renegade publisher Lyle Stuart who published anomalist writer Frank Edwards’ Fortean books, with the first one in 1959 being Stranger than Science, a paperbook full of information on unexplained phenomena. The birth of anyone in 1947 may have had as the peak that year, the strange happenings of June 24, 1947. Flying saucers. From what you know in your heart, those born in 1947 were delivered with fire in their bellies. We have carried on that tradition and passion way beyond any vision we could have ever had. It has been an amazing journey. And we are not done. The date June 24 is one tied to some of the weirdest happenings. Enjoy the day, and keep a watch out for the unusual to occur. What’s that behind you? First day of “flying saucer” history, Mt. Rainier & Mt. Adams, Washington State – Kenneth Arnold sighting (1947). On other June 24ths, locals have Bigfoot sightings, Logan and Union counties, Ohio (1980). Chupacabras encountered outside disco, Maria Elena, Argentina (2000). Moose hunters see Bigfoot, near Fort Simpson, NWT, Canada (2002). Mysterious fire erupts in Gallipolis, Ohio resident’s car on bridge from Ohio to Point Pleasant, West Virginia (2003). Massive unusual aerial phenomena, Xalapa, Mexico (2005). “Aren’t You Chupacabra to See Me?” airs for first time on Cartoon Network (2005). Nestle uses Bigfoot-costumed marchers to launch Kit Kat Limited Edition – Cappuccino at the Giant Mahkota Parade, Malacca, and Jusco Tebrau City, Johor (2005). Unexplained events. Mysterious fiery outbursts. Strange cryptid sightings. Beltane fires. Little people. Miracles. Bathing. Round dances. Collecting of glowworms. Folkloric incidents. Weird encounters. Cryptozoological openings. Mystery deaths. In 2014, what special events will be in the mix on this date for the 67th anniversary of the beginning of the Age of Flying Saucers? Stay tuned. 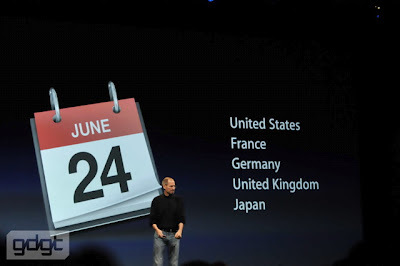 The iPhone 4 was placed first for sale on June 24, 2010.